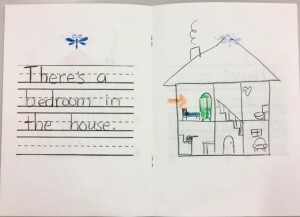 You are here: Home / Writing a Short Book is a Fun TEYL Writing Skills Activity! 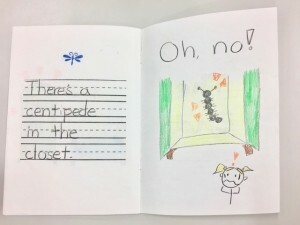 Writing a Short Book is a Fun TEYL Writing Skills Activity! About the author: Rosemary Hanson is a graduate of OnTESOL’s 250-hour TESOL Diploma and 20-hour TEYL specialist course. 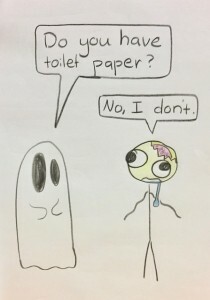 “Ghost: May I borrow some toilet paper? Mummy: Yes! Here you are! Ghost: May I borrow a candle? Jack-o-lantern: Yes! Here you are! Ghost: May I borrow some candy? Trick or Treater: Yes! Here you are! Get the best TESOL certification with OnTESOL. Receive double international TESOL accreditation and free job placement in the best programs abroad. The target language of this book is: “Where is ______?” and “I don’t know!” This story follows the protagonist in his/her search for a missing object. He or she then asks a variety of other characters about this missing object, however, no one knows its location. Therefore, this story is particularly effective if the missing object is shown in every panel, just out of the view of the protagonist. 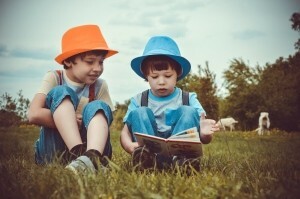 This way , children can follow the story with ease and can come to understand the story fully. In the end, the object is found successfully. Puppy: Where’s my hat? Rabbit: I know! [shows the puppy the hat being slept in by baby bunnies]. What is it? It’s a rabbit! What is it? It’s a snake! What is it? It’s a bird. This book is particularly effective for students with very low artistic skills, most importantly, because the silhouettes are more difficult to guess. https://how-to-teach-english.ontesol.com/wp-content/uploads/2015/03/ontesol-logo1-300x137.jpg 0 0 Rosemary Hanson https://how-to-teach-english.ontesol.com/wp-content/uploads/2015/03/ontesol-logo1-300x137.jpg Rosemary Hanson2018-12-05 01:12:042019-02-26 15:44:30Writing a Short Book is a Fun TEYL Writing Skills Activity! Teaching Pronunciation Drills to Korean Students TESOL Review: How to Make Money Teaching English Online with Qkids!